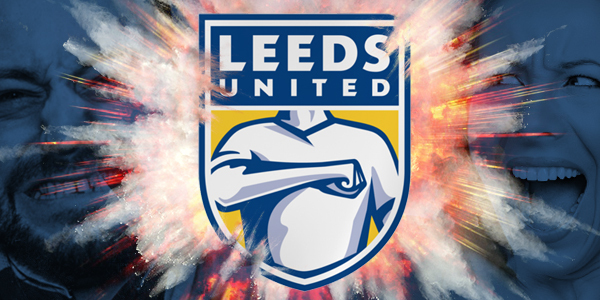 England’s Leeds United suffered what I’m sure is every client’s worst nightmare when they proudly unveiled their new crest this past January. Within mere internet-connected instants, the new mark was blasted to smithereens by an outraged fan base, prompting management to quickly issue a mea culpa and promise to start all over again. I will admit this bugged me because, as a sports designer, it’s my job to make sure this kind of result doesn’t happen. Not only is it the client’s worst nightmare, it’s pretty much mine too. It goes without saying that a sports identity must be fan-centric. It must give fans a reason to care and emotionally invest. At first glance, it seemed that Leeds checked all the right boxes in the process, and the reveal video makes it clear the “Leeds salute” is an important part of the team’s culture. So why was the result so unequivocally rejected? I’ve always thought of American college football as being culturally the most similar to European football. Both are intensely tribal, with unique, revered traditions that bond their fanbases in ways American professional sports do not. Which led me to think: if Texas unveiled a new logo featuring the “Hook ‘em Horns” hand sign as the primary identifier, the result would be no less catastrophic. Why? Because the “Leeds salute” and “Hook ‘em Horns” are what fans do. It is not who they are. Successful brand identities are built on engaging brand stories. Brand stories should be rooted in the uniqueness of who the team represents. The iconic Texas Longhorn logo represents the spirit, ethos, history, and culture of the state of Texas. It represents the story of Texas. “Hook ‘em Horns” is a way Longhorn fans express their identity, but it is not the identity. Likewise, while the “Leeds salute” may be an important part of Leeds United culture, and the sight of 30,000 fans pounding their chests at Elland Road may strike fear in the hearts of visiting clubs, the salute in and of itself is not the story of Leeds. The lesson of Leeds United underlines the importance of knowing the story at the heart of your brand. Traditions don’t mean anything outside the context of a story. Give fans a story they can embrace, and then you’ve got something worthy of pounding your chest.